Investigators found that other payers get vacuum erection systems for less than half the CMS price. Medicare is paying more than twice as much for men’s vacuum erection systems as other payers pay. 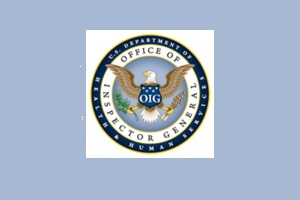 Investigators at the U.S. Department of Health and Human Services Office of Inspector General (HHS OIG) have published that finding in a new report. Medicare covers pump purchases because the pumps treat impotence, and impotence is a failure of a body part, officials say. If Medicare gets the price of pumps down to what other payers are paying, the Medicare program could save $18 million per year, and the men who get the pumps could save a total of $4.5 million per year, HHS OIG officials estimate. The officials report that Medicare spent $172 million on 473,620 pump claims from 2006 through 2011. The number of pump claims increased to 103,448 in 2011, from 61,589 in 2006. The average Medicare payment was $361, and the average enrollee co-payment was $90. CMS tried to address the cost of pumps in 1999. That year, CMS officials pointed out in a notice that the U.S. Department of Veterans Affairs was paying a wholesale price of just $132 per pump. CMS proposed a pump payment limit of 80 percent of an estimated retail price of $219.86, but the medical equipment industry objected, and the CMS never made the payment limit stick, officials say. Officials are recommending that CMS seek legislative authority to buy the pumps through a competitive bidding process.